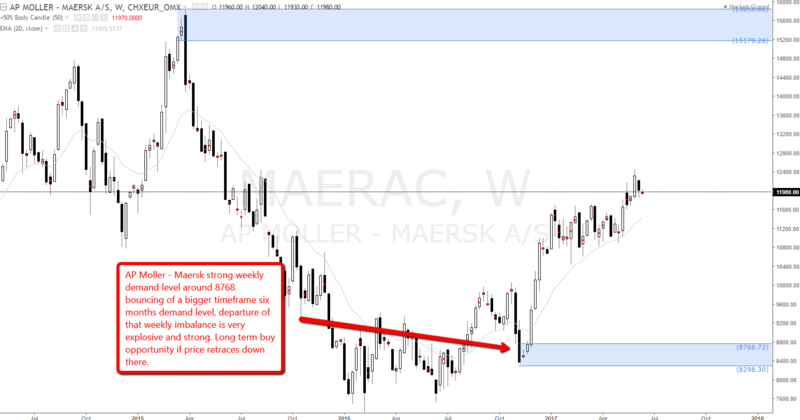 AP Moller – Maersk strong weekly demand level around 8768 bouncing of a bigger timeframe six months demand level, departure of that weekly imbalance is very explosive and strong. Long term buy opportunity if price retraces down there. A.P. Moller–Maersk Group, also known as Maersk, is a Danish business conglomerate. A.P. Møller–Maersk Group has activities in a variety of business sectors, primarily within the transport and energy sectors.